Stains on teeth appear when colored molecules stick to the plaque, tartar, and the surface of our teeth. Dental cleanings help remove plaque and tartar, but sometimes the stains still appear in the layer below called the dentin. The bleaching solution applied to the teeth combines with oxygen from the air and carbon in the dentin to break apart the staining molecules stuck on the teeth. What is the solution used to whiten teeth? We offer several types of whitening including Carbamide Peroxide, Carbamide Peroxide with Potassium Nitrate Fluoride, and Hydrogen Peroxide. Results from whitening vary from person to person and on the type of stains. Teeth whitening generally works best on yellowish-brown stains compared to gray stains. How long does it take to whiten teeth? Our in-office, immediate whitening procedures take just one hour in most cases! You can relax and watch DirectTv or use our free internet to post videos and pics of your whitening experience in our comfortable, cozy office. Of course we’ll be there to bring you anything you need! At-home whitening trays can be used as little as once every few months of up to several times a week until the desired outcome is achieved. At-home trays provide a more gradual transition and are also great for maintaining shade after an in-office treatment. Results vary depending on the type and level of staining and from person-to-person. Should I get a dental cleaning before or after teeth whitening? Teeth whitening works best on teeth free of plaque and tartar. Staying current on your dental cleanings is important for your health, but will also ensure the best possible results for whitening. If you are due for a cleaning, you can schedule the dental cleaning and the teeth whitening on the same day. The cleaning should be complete before the teeth whitening. Teeth whitening can cause sensitivity to the teeth and gums. Some patients experience little to no sensitivity, while other patients may need to limit the strength and time of the bleaching to avoid sensitivity. Speak to your dentist about ways to avoid sensitivity and always have the procedure performed by a licensed professional. Your dentist may recommend a special toothpaste to use prior to and after the procedure, as well as suggest only certain types of whitening. If you do experience sensitivity after treatment, an OTC pain reliever can usually help to reduce the symptoms. Will whitening my teeth damage my enamel? A major benefit of whitening your teeth under dental professional care is that you significantly reduce the risk of any damage to tooth enamel, gums, or otherwise. Obtaining teeth whitening from a dental professional ensures you are getting legitimate whitening products from reputable vendors applied by professionally trained staff. This will also reduce your chances for tooth sensitivity or root damage. The cost of teeth whitening procedures varies depending on the services you desire. Custom take-home trays and bleach is the least expensive in most cases, because it does not require any special equipment or materials. In-office whitening costs more, because it requires professional staff, materials, and equipment to perform the procedure, however, the results are immediate and effective! 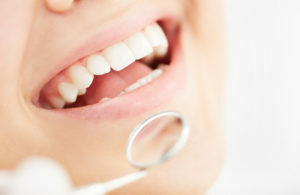 If you are looking for teeth whitening in Costa Mesa, we offer different specials each month. Check out our Patient Specials to see if whitening is being promoted this month. Do I have to do anything special before teeth whitening? There is nothing special you need to do before whitening, however, the treatment does work best on healthy teeth free of plaque and tartar. If you know you have teeth sensitivity, please schedule a consultation about two weeks prior to the whitening to pick up a special toothpaste. Do I have to do anything special after teeth whitening? To ensure the best results, you will want to avoid eating any foods or drinks that can stain teeth for at least 48 hours. This includes coffee, tea, red wine, juices, berries, foods with artificial colors, etc. You should also refrain from smoking as long as possible. Will teeth whitening work on dental veneers? Whitening does not change the color/shade of dental veneers or any non-natural tooth restoration. Will teeth whitening work on composites or bonding? Whitening does not change the color/shade of dental bonding/composite or any non-natural tooth restoration. Will teeth whitening work on crowns or bridges? Whitening does not change the color/shade of dental crowns/bridges or any non-natural tooth restoration. Teeth whitening lasts longest when patients follow a healthy diet, avoid smoking, avoid teeth staining foods and drinks, utilize a straw when possible, and maintain regular dental cleanings. Custom take-home whitening trays and bleach can last several months and can be maintained by the patient as necessary. In-office whitening results can last several months to a year also be maintained at-home with custom whitening trays. We do not recommend in-office whitening more than once a year to protect your tooth enamel and gums.